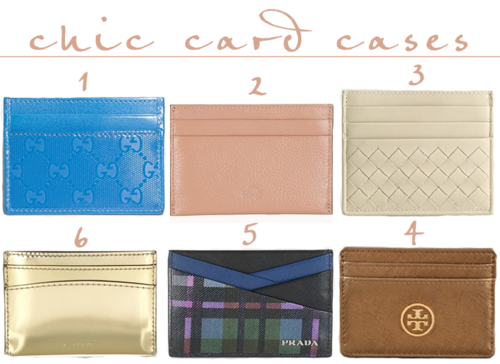 I’m not a fan of big, bulky wallets so I generally tend to stick with using slim card cases. They fit into every bag and clutch, and always look clean and simple. If you’re looking for one more thing to top off your stocking, get one of these cool card cases. I got a Chanel one for my birthday and love it!